Chad Ochocinco and Evelyn Lozada stylish in their fashionable Christian Louboutin shoes Chad is stunting in the black studded Christian Louboutin Rollerball Loafers and Lozada is wearing some beige Louboutin pumps. When it was announced that power couple Evelyn Lozada and Chad Ochocinco were getting a spinoff show on VH1, I screamed. Both Chad and Ev have massive urban fashion appeal. Evelyn Lozada, one of the breakout stars of the VH1 show Basketball Wives, has already created a buzz for her stylish shoe choices. She has a shoe boutique--Dulce Shoes located on the Miracle Mile in Miami that sells the hottest women's footwear from designers like Francesco Sacco, Dsquared2, Casadei, and Gianmarco Lorenzi. 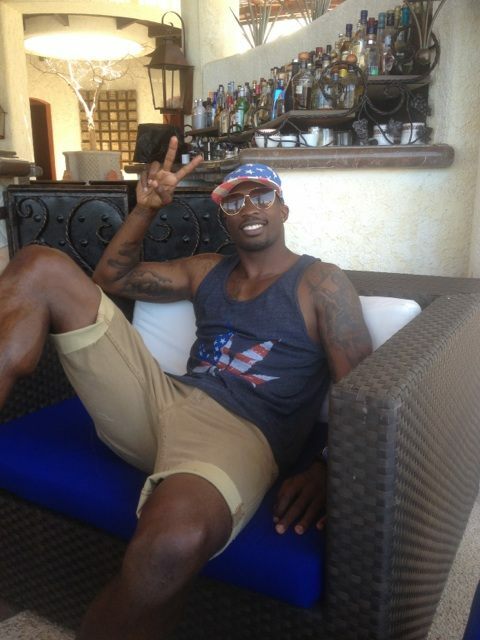 And one of my earlier posts on Chad Ochocinco's beachwear remains one of the top post on the site! Lozada says the line will also carry “E”- Collections specialty items featuring a 28-color Cosmopolitan shadow palette with a stunning rhinestone encrusted metallic pink shell and Blizzard a 28-color cool shadow palette with a gorgeous metallic mirrored shell and much, much more. I can't wait to see their stylish selves this fall on VH1!